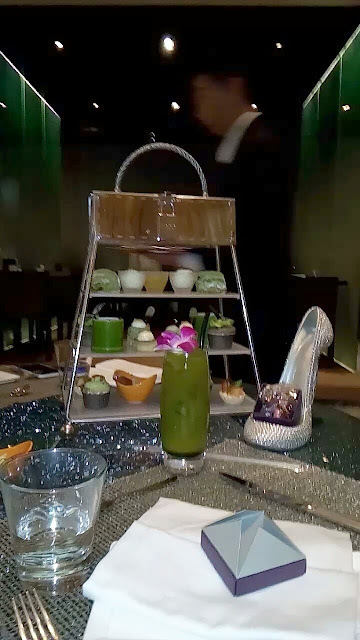 Recently tried the Fashion Matcha afternoon tea at COCO to celebrate the 60th Anniversary of the MIRA DINING GROUP. We were given these flashing bling bling rings!!!!! I admit that I haven't dined at MIRA DINING outlets for a while and I have missed so much, they have come up with some really mouth watering and unique items such the chocolate durian tart, pandan waffles and even chocolate mustard for their meat pairings. 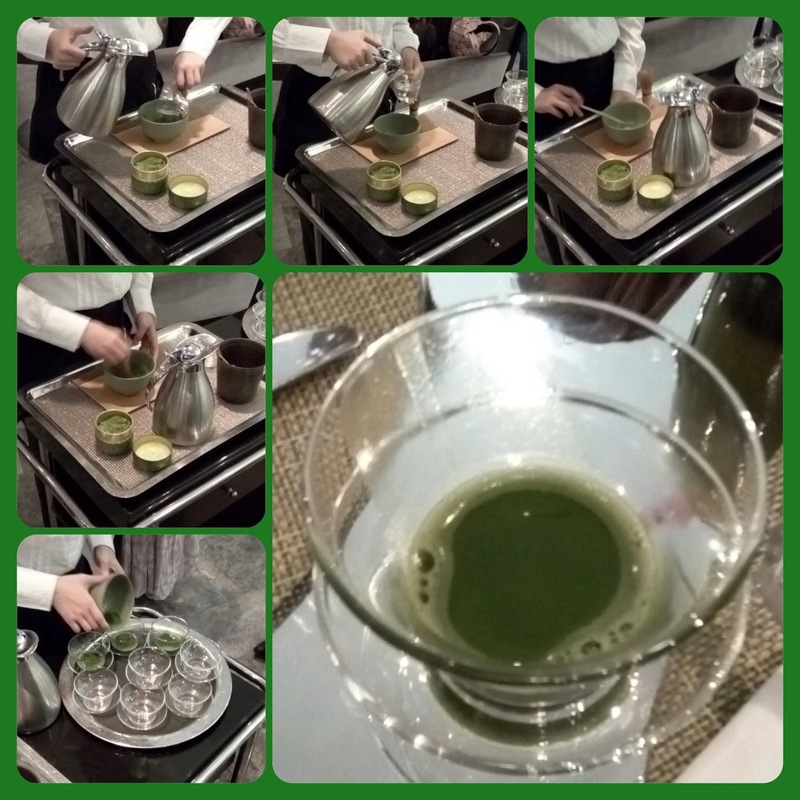 Guests are greeted with a green tea ceremony to start with. The Matcha afternoon tea managed to impress me even though I am not mad about Matcha. 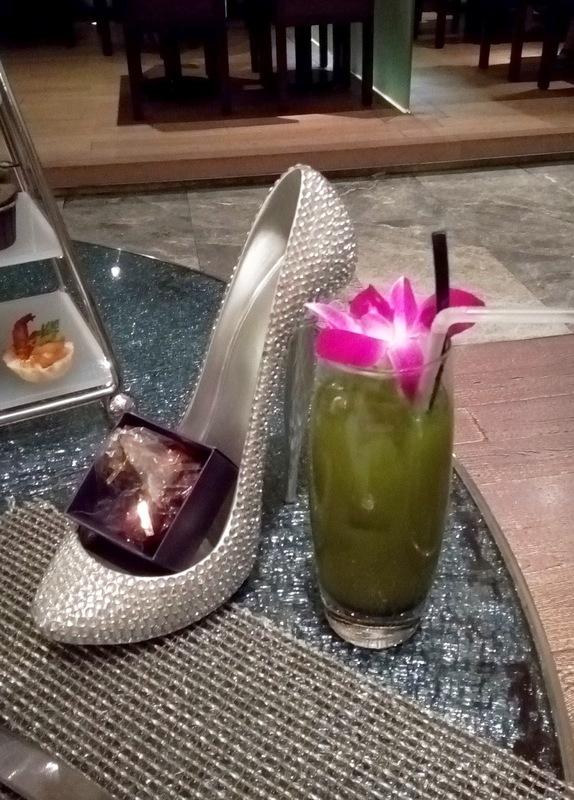 It was the Matcha that I liked because it wasn't grassy. Presented with this stylish tea set, I always start with the savouries, moving onto the scones and then the sweets. The savouries and sweets were equally as good which was good. Starting with the savouries there was: roasted capsicum cupcake with goat cheese topping, matcha cream cheese with spicy cajun shrimp toast, baccola (salty cod) rilettes with sesame, matcha soba noodle salad with sesame. The savouries were all fantastic but the roasted capsicum cupcake with goat cheese topping was the most memorable because the savoury cupcake was really tasty and the velvety cheese topping was divine. Moving on to the Korean Matcha Cranberry Scone with homemade Orange Jam flavoured with Japanese Sudachi Lime, it was heavily dusted with Matcha powder that you can see my finger imprint after picking it up!! The pairing of refreshing orange jam was a match made in heaven because there was a lot of solid orange pieces in the jam and it wasn't bitter complemented with fluffy whipped cream. 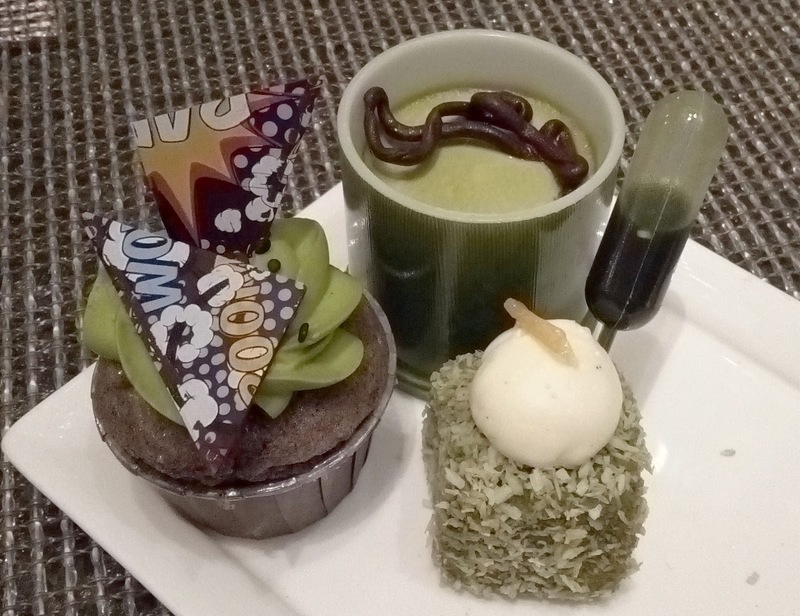 The Trendy Sweets comprised of: Taiwanese Matcha Elixir on Lamington & Yuzu, “Metallic Moonlight” Kyoto Uji Matcha infused in Vietnamese 40% White Chocolate Tart, Golden Wire Korean Matcha Latte Pudding by Executive Pastry Chef Jean-Marc Gaucher. Finished with the Fashion passion drink which was a concoction of passionfruit and green tea. It had a great refreshing fizz with notes of passionfruit, but most importantly it was not too sweet. Subject to 10% service charge. Mira Plus Members enjoy 25% discount.